Volunteering can be a fun, memorable way to bond as a family and teach children the value of community involvement. Children are welcome to participate in public programs and craft demonstrations under their parent’s supervision (except for blacksmithing or cooking where fire safety is a concern). We have a number of families who help interpret historical activities during our events, and children can learn how fun teaching and learning history can be. They can also help their parents behind-the-scenes in the gardens, sewing program, and other specialty projects. We recognize the talents and skills of our youth, and want to give them the opportunity to have a lasting impact in their community. Once they turn 14, youth no longer need parental supervision while volunteering, except those working in the blacksmith shop. 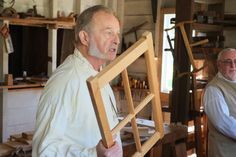 Youth are welcome to become Apprentice Interpreters and practice any of our trades or crafts, such as carpentry, chair caning, open-hearth cooking, wool spinning, and more. Apprentices can also assist with guiding visitors through the Manor House and outbuildings during Sunday afternoon programs, graduating to full-fledged Tour Guides when they turn 18. Through these volunteer opportunities, youth can have a lot of fun while improving public speaking skills and gaining confidence as they teach visitors about history. There are also a number of behind-the-scenes opportunities. 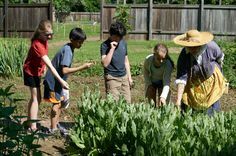 Our annual Summer Camps need Youth Counselors to supervise children and assist with colonial crafts and games. Youth can also help by assisting with the planting and maintenance of our historical gardens. If you enjoy sewing and fashion, youth can join our Sewing Society and make authentic historical clothing. Additionally, we are currently expanding our Youth Volunteer Program to give them more leadership opportunities. As we expand this group’s role at Pennsbury, the youth will work together and develop new visitor programs, fundraisers, and other projects. Adult staff and volunteers will help supervise, but the actual work and responsibility for the projects is entirely for the youth volunteers. This is a great way to have a real impact on our adult and child visitors and build up your leadership skills!